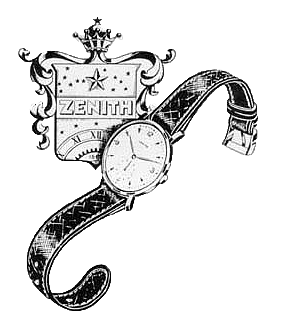 Manual winded ZENITH cal. 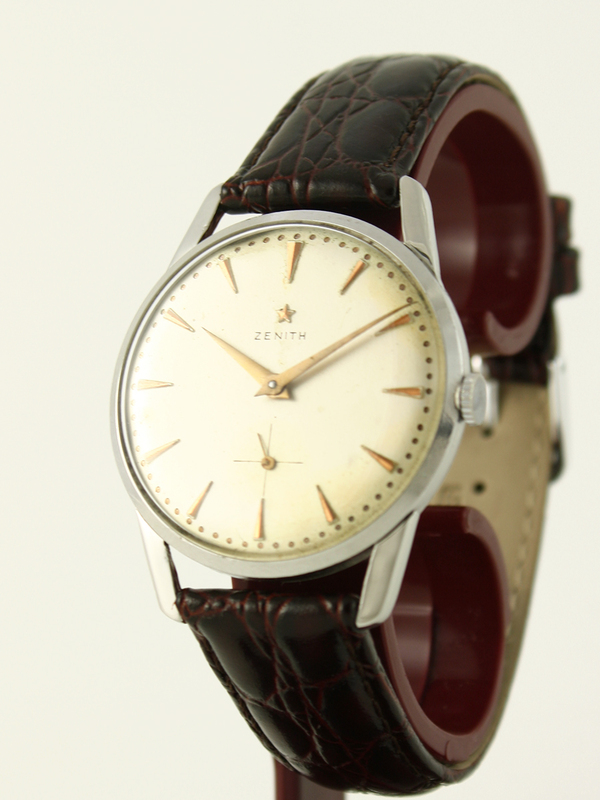 40 in beautiful steel case with long lugs. 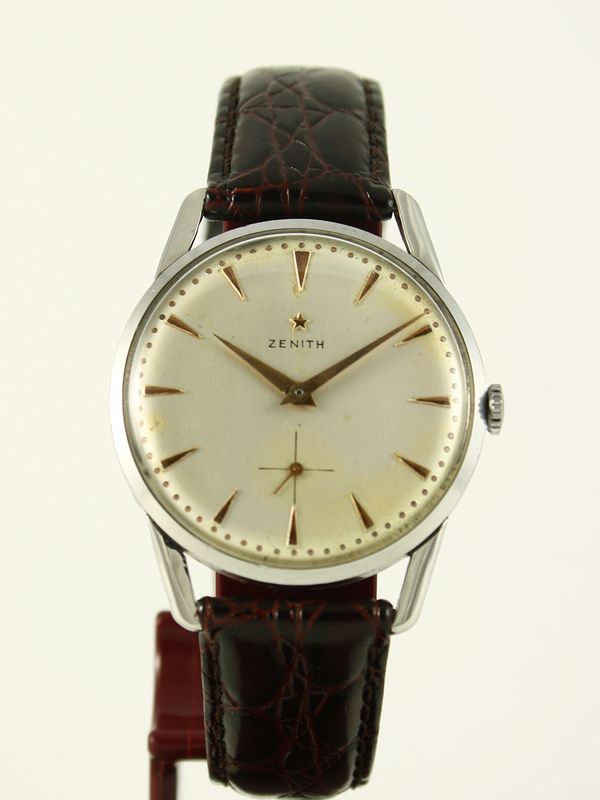 Caliber 40 is a high class movement which was released as a chronometer in some cases. Therefore this movement runs very accurate. 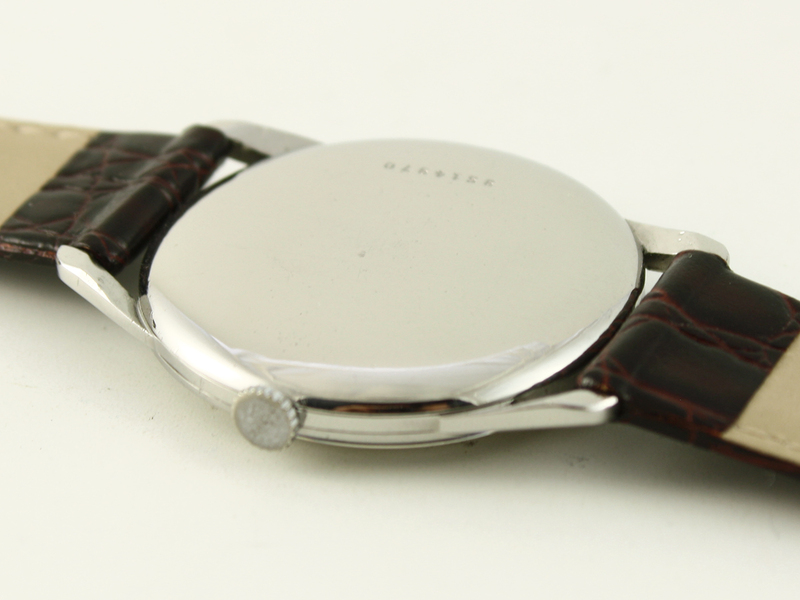 It has been recently serviced by one of our professional watchmakers.